Facebook said it will change the way it does research, but stopped short of apologising for a controversial experiment it conducted this year. In June, the site was criticised for manipulating the news feeds of nearly 700,000 users without their consent. The network said it was "unprepared" for the backlash it received. "[We] have taken to heart the comments and criticism. 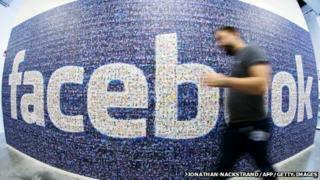 It is clear now that there are things we should have done differently," Facebook said. In a blog, chief technology officer Mike Schroepfer said the company should have "considered other non-experimental ways to do this research". He added: "In releasing the study, we failed to communicate clearly why and how we did it." The social network controlled the news feed of users over a one-week period in 2012 without their knowledge to manage which emotional expressions they were exposed to. The experiment was part of a study by Facebook and two US universities. The social network said at the time it was to gauge whether "exposure to emotions led people to change their own posting behaviours". However, the company was widely criticised for manipulating material from people's personal lives in order to play with user emotions or make them sad. In response on Thursday, Facebook said that it was introducing new rules for conducting research on users with clearer guidelines, better training for researchers and a stricter review process. But, it did not state whether or not it would notify users - or seek their consent - before starting a study. The Information Commissioner's Office (ICO) in London, which supports data privacy for individuals, said Facebook's comments were "a step in the right direction", but it hoped to hear more about how the social network intends to improve transparency. "Organisations who want to process people's personal information without explicitly asking for their permission, for instance to carry out research, always need to proceed with caution," an ICO spokesman said. IDC research analyst Jan van Vonno said it was Facebook's responsibility to notify users of any studies they were partaking in. "They're going to continue that research and what they should do is make users aware of what they're doing and that's not really what they're doing right now," Mr van Vonno said. An apology would be a sign of regret and they obviously don't regret any of their actions because they think it's for the benefit of their own platform." It was still important for Facebook to study consumer behaviour so it could maximize the impact advertisers had on the platform, which remains a huge source of revenue for the company, Mr van Vonno added. The company's mobile advertising revenue jumped 151% in the second quarter of this year from 2013 and accounted for more than 60% of its overall ad revenue. Just this week, Facebook relaunched Atlas, an advertising platform it bought from Microsoft last year, to improve the effectiveness of its ads.